Chevrolet is one of the iconic and oldest U.S. car brands manufactured in the U.S. All Chevrolet models are still a favorite worldwide and the classics are sought after. Chevrolet models have classic, unique styling that is distinctive regardless of the year or model. Chevrolet brands can be found now worldwide. Each of our Chevrolet convertible tops is manufactured to original pattern specifications and we offer the original fabric selection. Our Chevrolet convertible tops will instantly renew your vehicle to show room condition. We offer a complete line of convertible tops, Chevrolet convertible top cables, Chevrolet convertible top pads, Chevrolet convertible top boots and Chevrolet convertible top headliners. 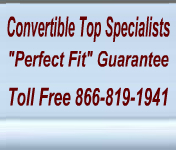 Our convertible tops will fit all of the Chevrolet convertible top models manufactured in the U.S.